I wrote recently about some of the questions I get from readers and followers. So I've started a series of posts I'll note as "Reader Questions." They'll be a little hastier, a little more "off-the-cuff," but I hope they'll still prove helpful or mildly amusing. Another popular query I get—perhaps the biggest one—is about my sympathetic stance on Solas. I really appreciate these questions, and care about being as fair as I can be in my analyses here. And yeah, let's face it, a lot of people really, really hate Solas. Which I completely get. Who can blame them? His honesty with us about his own actions and plans in "Trespasser" is pretty damning. Even if he's not sure what tearing down the Veil will do, it's apparent he expects it to sow chaos across Thedas, and that many lives (even those of people he loves) may be lost. And yet... I still chose "Redeem." Am I biased? Oh, hell, yes. I'm absolutely a Solas apologist, however much I try for a dispassionate view. I attempt to remain impartial, but it's no secret after my zillions and zillions of words here that I love the guy (and many other wonderful companions). 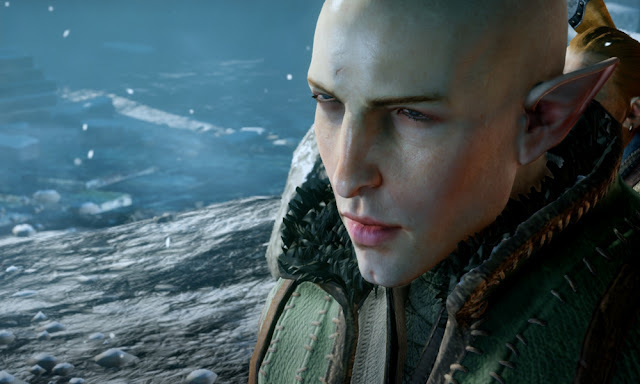 I've written all sorts of posts here where I attempt to try to understand and analyze what drives Solas, and I've definitely been open about how much I both loved his romance and still hope to redeem him in Dragon Age 4. First off, I'm a sucker for tragedy, and the sheer irony and sadness of Solas's situation is fascinating to me. Like all the best anti-heroes (or villains), he began his path with the very best of intentions. He saw evil being done and did what he could—freeing the slaves, leading rebellions, ending wars, punishing murderers. He wanted to save his people, and yet in the end, despite the very best of his intentions, he doomed them instead—and in every literal way you can imagine. He took away their immortality. He trapped them in a world without magic (or at least, comparable to their previous lives). He crashed their beautiful suspended cities, killing thousands as the Veil removed their abilities to float and fly. He trapped their spirit-friends beyond an almost impenetrable barrier, and he (worst of all) put them on a path that directly led to their exile and enslavement. It's all terrible and sad, especially when what he was attempting to do was (to him) simple and absolute punishment where it would hurt the perpetrators most. But the fact that Solas's name means 'Pride' is no accident. Time and again, he's shown that he's often blinded by his own intellect. Here, for instance, nothing but the sundering of the world itself would suffice for his vengeance. And for that act, his people paid. And they're still paying, even thousands of years later. So there we are. And speaking dramatically, as a writer? This is pure catnip for someone like me, and is incredibly fun and emotional from a story standpoint. However, I also truly want this blog to be for everyone, so I do try to ensure that I'm including analyses and insights that are useful no matter what you chose at the end of "Trespasser." This is a good place for me to note that, even if you're one of those who enthusiastically hates Solas, our points of view are not as far apart as you might think. 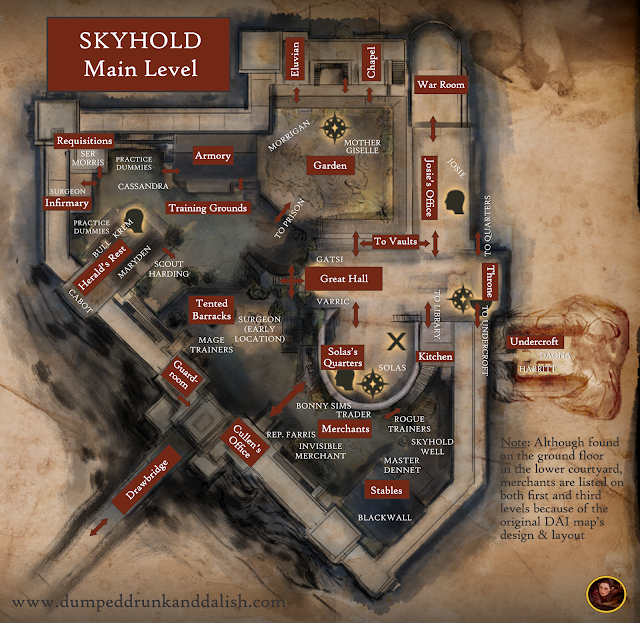 I really do see and understand this, and it's made for some exciting debates for me across the world of Dragon Age! For one thing, as a writer, I love Solas as a character just as I also love many other deeply shaded characters who are not always good people, or who have done things that are despicable or downright villainous. I love them for the writing art and craft involved in their creation (damn your ability to write poetic tragedy, Weekes! ), for the nuance and complexity that went into them, and I appreciate them for their believability and dramatic resonance. 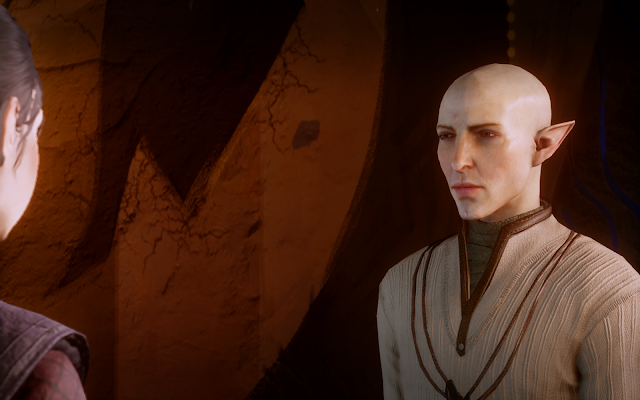 So I can absolutely love Solas, and yet still see him pretty clearly. Just as I also love characters like Anders, Lestat, Stringer Bell, Loghain, Hannibal Lecter, Gollum, Mrs. Coulter, Kylo Ren, or Boyd Crowder. Loving a character doesn't mean I agree with what they do. It doesn't mean I support their agenda or actions. It just means I enjoy the character as the fully fleshed and believable, imperfect person the writers (and actors) have convincingly brought to life. Many of those I list here are antiheroes as well as villains, but they are presented in ways that allow us to see their humanity and frailty, their self-doubt, and even their capacity for love. That's exciting, and so much more fun than a one-note bad guy (like we all thought Corypants was, while Solas, just like Anders, was right next to us all along). I mean, let's face it, I was so upset when Solas dumped me (um, I mean, my Inquisitor—DAMMIT) that I called my best friend. And, as you may have seen from my humiliating admission here... there may have been tears. So, yeah, I chose "Redeem." I always have. I just can't go with "Kill." As you know... 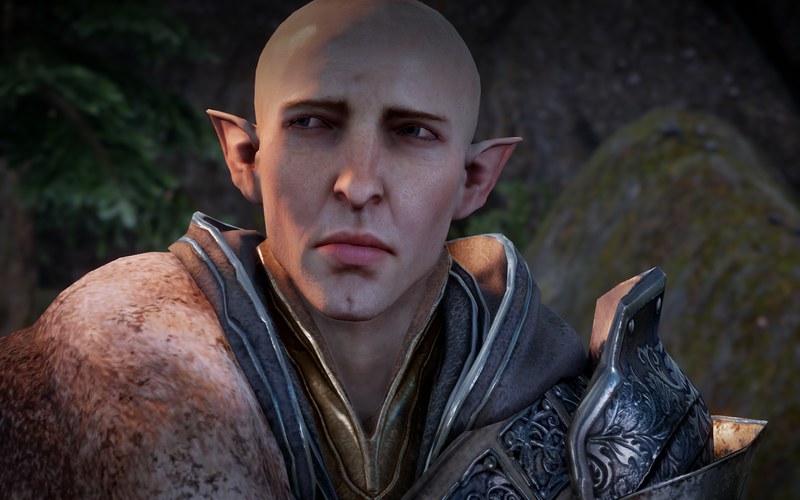 I think Solas is traumatized at the time of Dragon Age: Inquisition, and that he's still a bit mad. Still, he seems to like planning to tear down the Veil a lot more than he actually likes taking action to do so. Even two years later, he still hasn't done it. Even when he's all-powerful and eye-blinking people into stone (after a considerate warning, of course). He then saved the life of the Inquisitor, even if it meant also saving his greatest rival. To whom he also told all of his plans for the sake of honesty and openness. 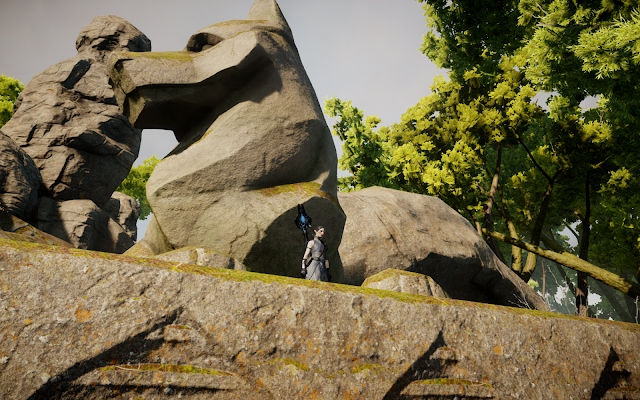 I guess my point is, I think Solas just isn't that good at being bad. His baseline is to be honorable and honest, even when it doesn't profit him and in fact may severely hamper his goals. 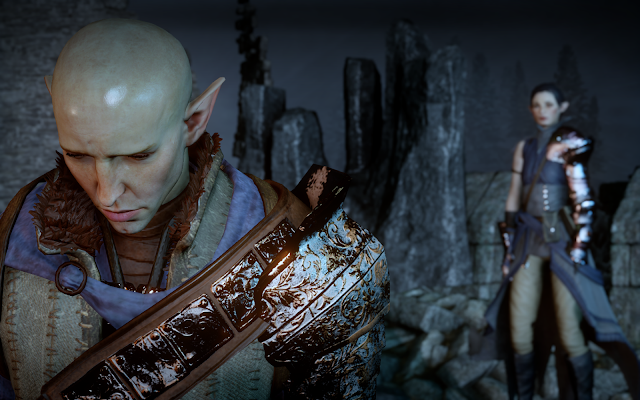 A sympathetic Solas may be painful for players, but in the best way. it's also smart, engaging, and a subtle way to play for our hearts over our brains. 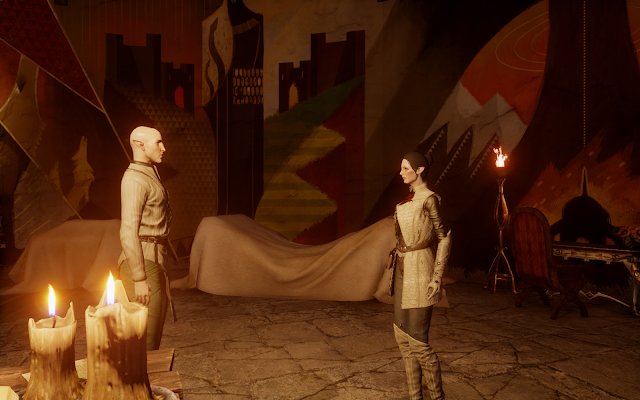 Because, of course, ultimately, I think the writers wanted us to like Solas. There's good reason for this both dramatically and technically. It's more emotional, more painful, more surprising. It packs a bigger whammy and has more impact, when we realize the Dread Wolf was next to us all along. The impact of that realization, first of all—walking with a god. And that we cared about him, and made him care, too. And to realize we maybe even loved him. So, for me... between "Kill" or "Redeem," I'm gonna go "Redeem" every time. Just know that, for those of you readers who chose "Kill," I'm still with you, I'll still blog about your options as best I can (despite my admitted bias). We'll see what happens at the end of the story. Want to make a bet? Whoever was wrong has to buy the pride-cookies! Meanwhile, see you next time... and thanks for the debate! Please feel free to continue to tweet, DM, or comment your questions and thoughts here... I love hearing from you, and (love Solas or hate him) I appreciate your reading my Thedosian rambles more than I can express.